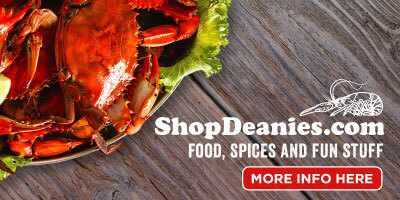 Deanie’s Seafood has been in operation since it was established as a seafood market and restaurant in 1961 by original owners John and Alma (Deanie) Livacari. Deanie’s transferred to new owners in the 1970s and was acquired in 1982 by a group of individuals led by Frank Angelo Chifici, who had studied at Le Cordon Bl eu culinary school in Paris in the 1960s. The business was purchased by the Chifici Family in the mid-1980s when Barbara A. Chifici bought out all other investors shortly after Frank’s passing in 1985. Under her leadership and with the help of her children, Deanie’s has evolved into one of the top seafood restaurants and one of the most successful women-owned businesses in New Orleans. Deanie’s atmosphere is a casual family restaurant that is enjoyed by locals as well as tourists. 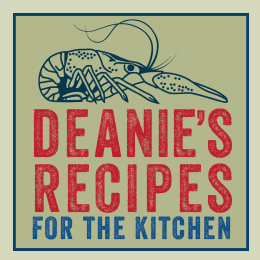 Its menu consists of many New Orleans favorites prepared with Deanie’s signature style. 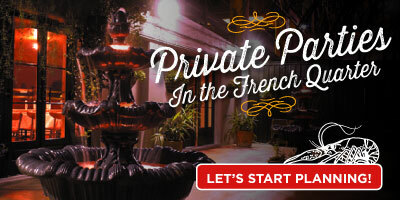 Born and raised in New Orleans, Mrs. Barbara is of French and Italian decent and her background includes several family members who were restaurateurs. At a very young age, she acquired an interest in cooking and spent many hours observing and questioning the fantastic cooks in her family. Of course, she got hands-on experience, too. She wanted to know everything there is to know in order to become a great cook. Mrs. Barbara and Frank married when she was 19 when she went to live in Paris, where Frank was attending Le Cordon Bleu. In the early 1970’s, Barbara and Frank opened their first restaurant in New Orleans, Chifici’s on Magazine Street. Mrs. Barbara opened a second restaurant, Gromboli’s located on Veteran’s Memorial Boulevard in Metairie, in 1992. Both restaurants were eventually closed to concentrate on Deanie’s, which was a much larger operation. Barbara’s career has afforded her the opportunity to work with great local chefs as well as other chefs around the country. She has cooked for national political figures, celebrities in the entertainment field and sport personalities. She spent three weeks in western New York instructing a small group of chefs that were eager to learn more about Cajun/Creole cuisine. As chef, Barbara has been invited to participate as a judge in food contests around the country and has judged on both professional and amateur levels. 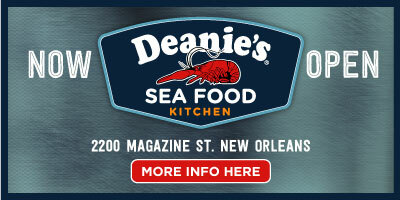 Deanie’s newest location, Deanie’s Sea Food Kitchen, 2200 Magazine St., opened its doors in 2018 at the corner of Magazine Street and Jackson Avenue in New Orleans’ Garden District. Our history is continuing with the celebration of Deanie’s 57th year in operation and the 17th anniversary of Deanie’s Seafood’s second location in the French Quarter on Dec. 26, 2011.